Who are the richest people in history? While putting a dollar value on ancient kings might be difficult, we think we have a pretty good list of the top contenders for the richest people ever. From ancient kings to modern monopolists, here’s who we think are the top contenders. Who Was the Richest Person of All Time? Augustus Caesar — Potentially the richest man of all time, he was the first emperor of the Roman Empire and valued at a rough estimate of $4.6 trillion in today’s dollars. He personally owned a fifth of the wealth of an empire that accounted for about 30% of the gross domestic product of the whole world. Possibly: Emperor Shenzong of Song — Also the leader of an empire that accounted for 30% of the world’s GDP at the time and valued in the trillions, Emperor Shenzong of China is a contender for the richest man to ever live. It’s possible he had the highest net worth ever. It’s difficult, however, to separate his personal wealth from his country’s, ranking him lower on our list. Possibly: King Solomon of Israel — If you take the Bible as fact, the famous King Solomon’s net worth would have been valued in the trillions, since every year, he demanded about 25 tons of gold from his subjects, eventually leading to his tragic downfall. Possibly: Gengis Khan — Another of history’s most profitable and terrifying emperors is Genghis Khan. Net worth estimates for him are all over the place, with some awarding him figures with the modern-day value of hundreds of trillions of dollars and others maintaining that Genghis Khan only had an extreme amount of land rather than great personal wealth. Either way, he’s certainly a contender for the richest person to ever live. Mansa Musa — According to his contemporaries, who simply could not fathom his wealth, this African king was the richest man in the world ever. How much is Mansa Musa worth today? With camel-loads of gold and salt, Mansa Musa’s net worth has been valued by modern-day scholars to be around $400 to $415 billion in modern money. 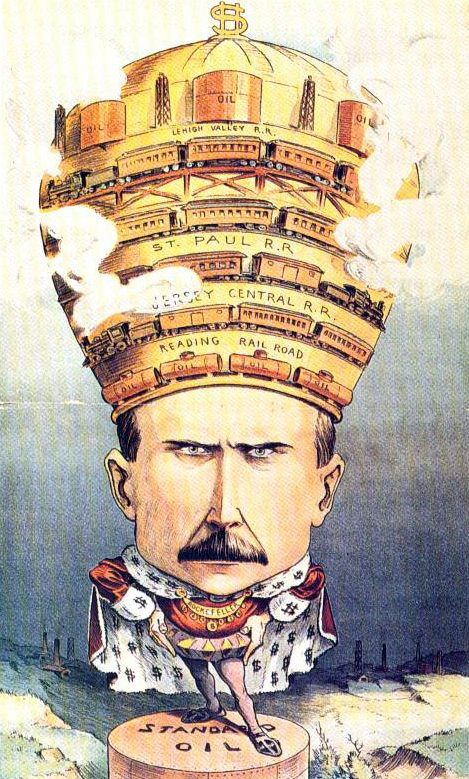 John D. Rockefeller — Now, we’ve reached some modern rich people, starting with oil magnate John D. Rockefeller. Net worth figures for him are a bit skewed, but his $1.4 billion in olden-day money would be worth several hundred billion now. Some scholars estimate that he would be worth $400 billion today. For scale, that’s three times more than today’s richest person, Jeff Bezos. Andrew Carnegie — Carnegie once said, “The man who dies rich dies disgraced.” While he didn’t exactly die a billionaire, giving away massive swaths of his wealth to more than 3,500 public libraries, the Carnegie net worth at his richest was valued in today’s dollars between $300 and $372 billion. Nicholas II of Russia — The revolutionaries considered their monarch to be the richest person in history. That being said, he spent wildly: His allotment of 24 million rubles was usually spent by the end of the year. Osman Ali Khan — The nizam of Hyderbad was named the wealthiest person ever by Time Magazine and used the world-famous Jacob Diamond as a paperweight. Who Was the Richest Person in America’s History? The richest American ever is widely considered to be John D. Rockefeller, worth about $400 billion in inflation-adjusted dollars, or about 2% of the United States GDP. Members of his family continue to be some of the wealthiest people in U.S. history. Who Is the Richest Person Today? Jeff Bezos is considered to be the richest person in the world today, valued at a whopping $125.8 billion. His Amazon business has taken the world by storm, and he has enough to invest in a space program. Yet Bezos makes a fraction of what John D. Rockefeller and many others on our list made. Perhaps it is better that wealth is no longer in the hands of monarchs but entrepreneurs. Yet one must still ask: Will history repeat itself?